Each year around 150 children and young people are referred to us for consideration for epilepsy surgery. Taking the decision to go ahead with surgery can be daunting but it can also bring positive life-changing benefits. 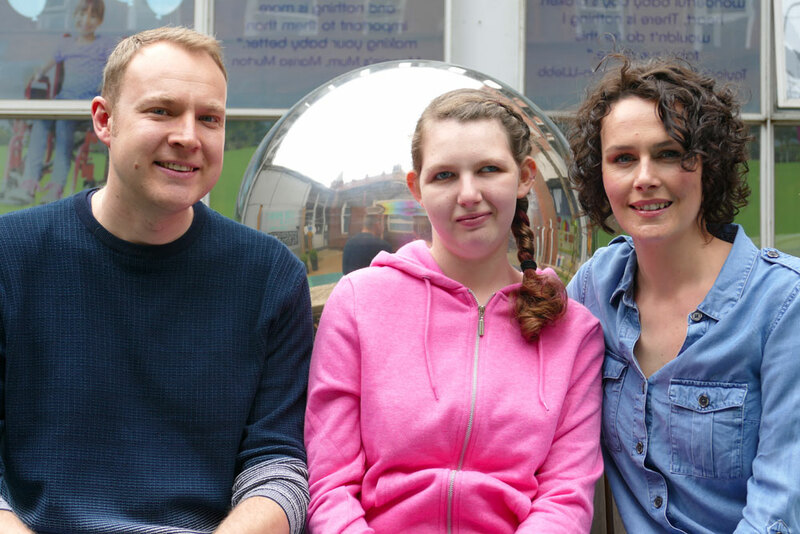 14-year-old Millie Agnew and her family have been through this journey and wanted to share their experience of the operation that separated the two halves of Millie’s brain. After the diagnosis, Millie’s seizures continued to gradually increase and this started to have a serious impact on her life. Charles said: “Mille went through periods of being well controlled with the medication but then the seizure pattern would come back. The more medication we went through the more it became evident that the seizure pattern was going to break through and she was becoming drug resistant. Next Millie and her family tried the Ketogenic diet - a high-fat, low carbohydrate diet that is effective in reducing seizures in 50% of patients. With the pressures of very busy lives, another young child and the need to precisely measure and weigh food it became clear that this route was not working for them and the seizures were not reducing. After much thought and deliberation, the family decided that surgery would be the best option. Charles explained, “We knew she was drug resistant; we’d given the Ketogenic diet as much effort as we could and the MRI scans suggested she would be suitable for the five-hour long procedure. “The main thing was the impact on Millie’s quality of life,” added mum, Jane. “It was a really tough time and looking back, Millie was really poorly. It must have just been so exhausting for her having so many seizures through the day. When undergoing major surgery, the support of hospital staff is essential in ensuring the patient experience is a positive one. “The standard of care from start to finish, through all of the departments, was brilliant,” added Charles. The hospital’s expert team of epilepsy surgeons undertook a hemispherotomy that physically separated the two halves of Millie’s brain to prevent seizures from travelling from one part of the brain to another, which causes the body to shut down. It’s an unusual procedure and only nine of the 72 operations the Epilepsy Surgery team undertook last year were hemispherotomies of the type Millie underwent. The surgery went really well and Millie has been seizure free for the last year meaning she’s now able to do things previously not possible because of her epilepsy. Millie is now ready to start the next phase of her treatment. She currently takes three different medications which she’ll gradually withdraw from over the next 12 months. She still gets very fatigued so the family are looking forward to reaching a point where she is medication free too but they are delighted with the progress she has made so far.